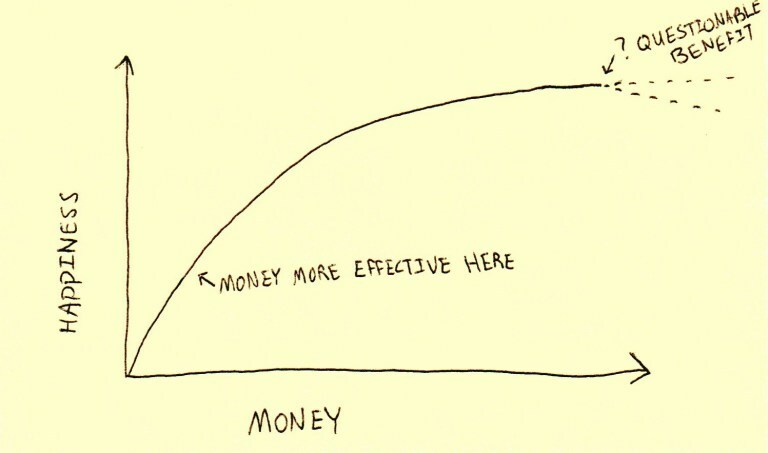 How Understanding the Marginal Utility of Money Will Make you Happier | Passive Income M.D. Money and happiness. My blog has been a journey to find a balance between these two things for me. I love when writers like The Happy Philosopher explore this relationship. The value of money changes with respect to utility and time depending on how you use it. Money is really a representation of our time. Money is a store of value. We trade time and energy (our life energy) for money – with the expectation that we can trade it back to other people in the future for either stuff or their energy. 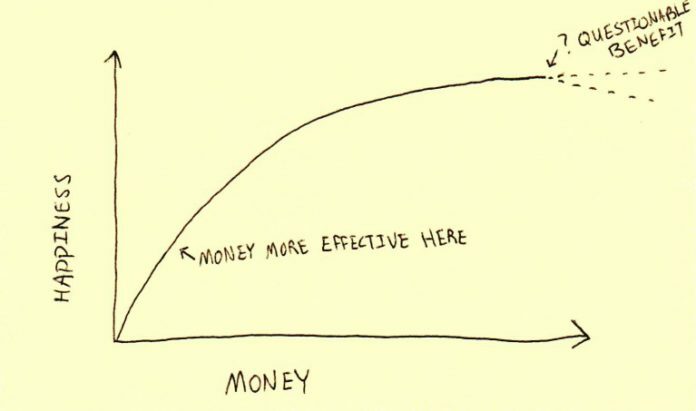 Each additional dollar acquired becomes less valuable because it brings us a smaller bit of utility than the one before it. Each unit of time we trade for that depreciating money is more precious.